Monrovia – Rev. Simeon L. Dunbar, founder and president of the Liberty Christian Center in Johnsonville, says churches in Liberia are “toothless bulldog” because of the way clergymen “do things”. Rev. Dunbar said many church leaders are compromising issues instead of saying the truth. He also alleged that they have resulted in using the church for political rallies. Headded that churches in Liberia have now become the recruiting ground for secret society instead of becoming the “sun and light in the land”. The prayer and fasting which coincided with 2nd Friday in April, a national holiday for fasting and praying in Liberia, brought together students, congregations of several other churches, Liberia’s former vice president Joseph N. Boakai and scores of pastors. 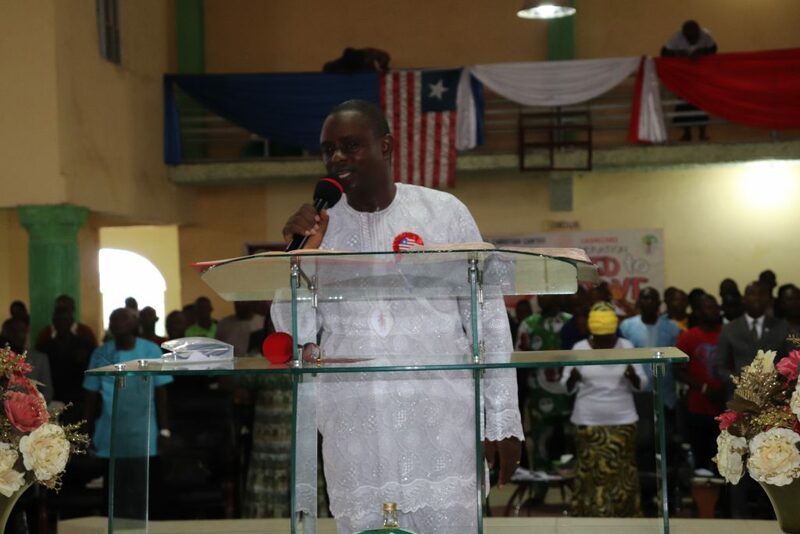 “Our churches have to take the position of a twin mother and not being the one to lead a political rally against another party or lead a tribal group against another tribe which occurred in Liberia during the crisis,” he said. “People in leadership positions in the church have compromised and continued to compromise as leaders in the church. Instead of saying that truth, we use our churches for a political rally. According to him, Liberians must stand up for the truth and stop compromising everything. “Every time we replace God with something else, God gets angry with us, because except God builds a church, they labor in vain that built it,” he cautioned. “Liberians must remember or be reminded that our independence was signed in the church, particularly the Providence Baptist Church. Rev. Dunbar said nations are sold through the mystery of witchcraft activities and that “today there is broad day witchcrafts activities in the church of God in Liberia”. “Today, parents are encouraging their children to get involve into prostitution. Gone are the days that Liberians respected police stations, courthouses, but today, we place them on fire because there is no law and order in the land,” Rev. Dunbar said. “Our schools, government ministries, agencies, national heritage, our churches, our pride, our land, natural resources and the future of the children are not for sale,” Rev. Dunbar told the congregants, warning that “there is a need to stop dividing the church and our people”. “A few days ago, Liberians shouted for change and now, we see change for something else. We need to remember God because an election is not our problem. God has allowed us to do what we want so let’s do what you want,” he said. “We should not be promoting poverty because poverty will lead to total failure. We have allowed corruption to become the order of the day. Today, we see evil and call it good,” Rev. Dunbar said.